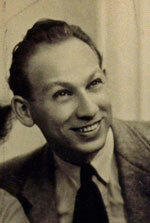 1909-1993 Erwin Knopfler was born 1909 in Hungary. As a youth he attended university in Brunn, Czechoslovia (what is now the Czech Republic) and studied architecture. As a political prisoner during the 1930s he played chess using scraps of paper. Fleeing the Nazis in 1939, he settled in Glasgow, Scotland. Erwin Knopfler was the father of the famed brother-guitarists Mark and David Knopfler of the rock group Dire Straits. Mark and David were born in Glasgow in 1949 and 1952 respectively. In the early 1950s Erwin Knopfler was one of the strongest players in Scotland. He finished 2nd (5/8) to Dr. Aitken in the 1953 Scottish Championship. He played in the 1952 and 1954 Scottish Chess Championships, and played board 2 for the defunct Glasgow Chess Club behind 11-time Scottish Champion W. A. Fairhurst. Knopfler had at least a dozen books on chess theory. According to Erwin's son David, both Erwin and his brothers played chess. Erwin was a big admirer of Boris Spassky. In the late 1970s David and his father Erwin bumped into Spassky at a London chess tournament. Erwin recognized Spassky at once and was "thrilled to be in such illustrious company." The aforementioned Scottish Championship proved a bit too stressful for Erwin who was holding down a full-time job and raising three children. But even in his seventies he could still beat David (and most other players) without much effort. He was always a very strong player. He taught all of his kids to play from a very early age. David learned at the age of 4. 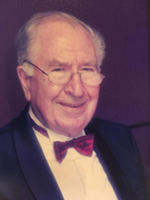 One of Erwin Knopfler's opponents, Ian Candlish Kirkwood (1932-2017), was a strong chess player, chess patron of Scotland, and became an appellate judge in 1987. In 2002 Lord Kirkwood was one of five judges to hear the 2002 Lockerbie Appeal in the special Scottish court in the Netherlands. Lord Kirkwood never had a judgment overturned on appeal. Erwin Knopfler passed away in 1993 at the age of eighty-four.